I had these pop ups from Queen & CO. so I decided I would finally use them! 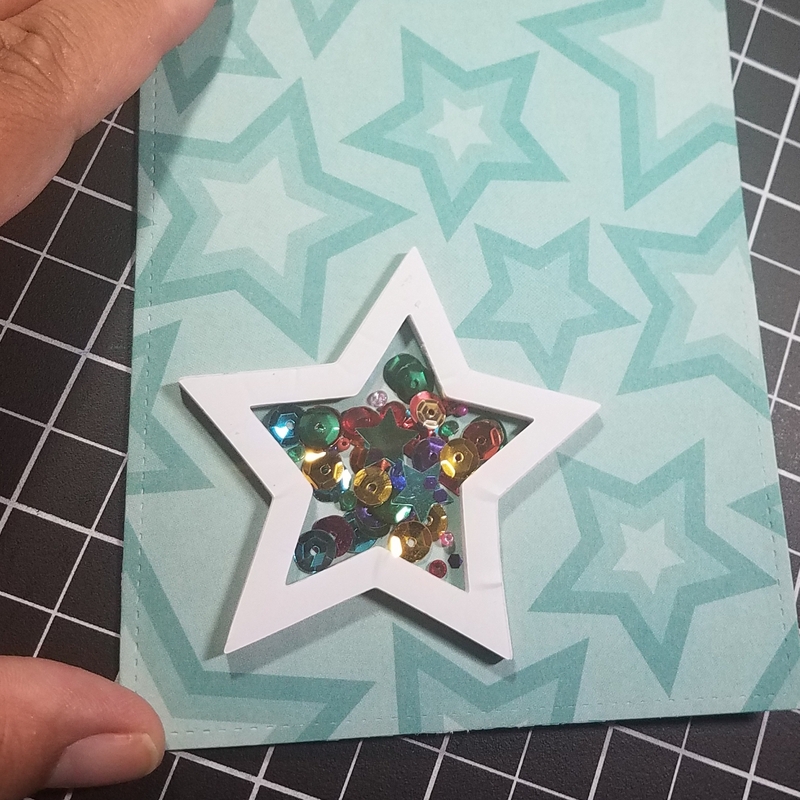 The shaker element made this card super quick and easy! 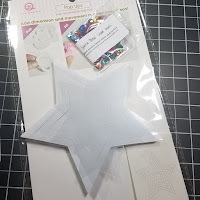 I love stars and this star paper goes so well with the Crown Jewels Sparkle Blends. 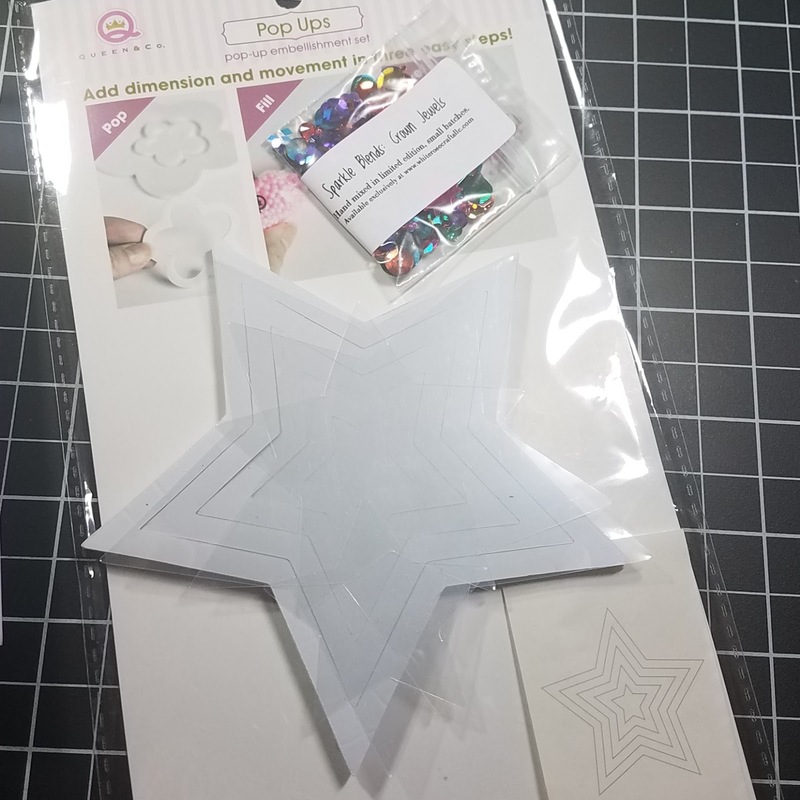 One of the stars was the perfect size to cover a star on the paper. 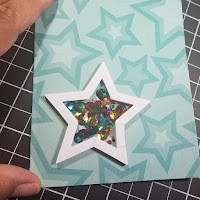 I placed the shaker element on my base panel and filled it the Crown Jewel Sparkle Blends. Putting the clear cover on this was a bit tricky but after it was placed a did a little trimming and its perfect! For some reason I did the shaker portion first, I was excited! I decided that I wanted to white heat emboss this Birthday Wishes sentiment from Simon Says Stamp. 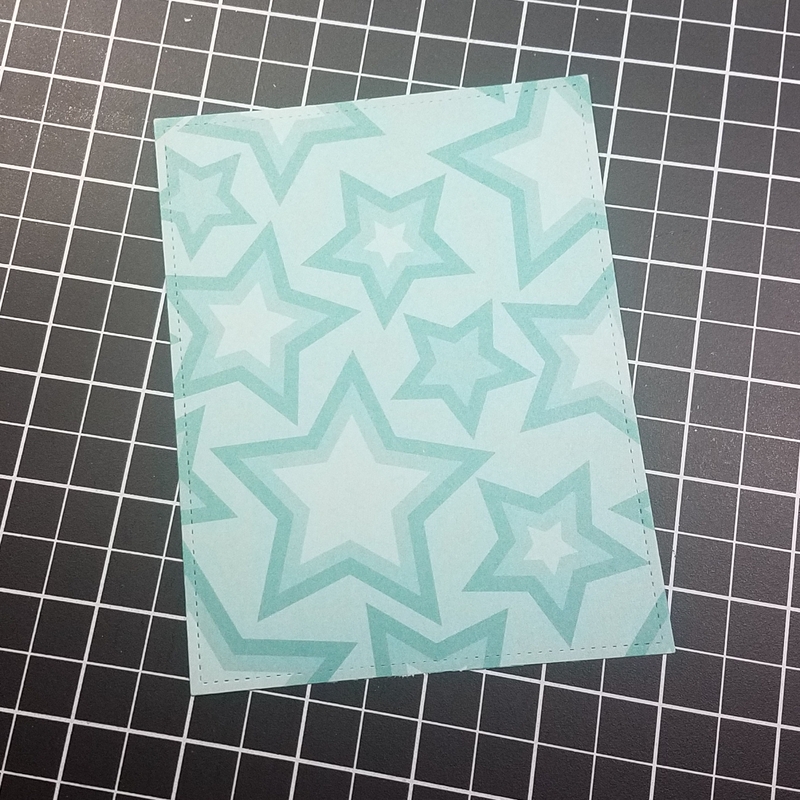 After that was done I adhered the panel to my card base. 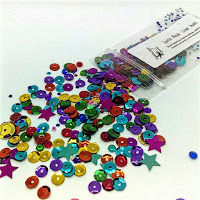 I then picked out sequins for the front of my card, one of each color from the Crown Jewel blend. 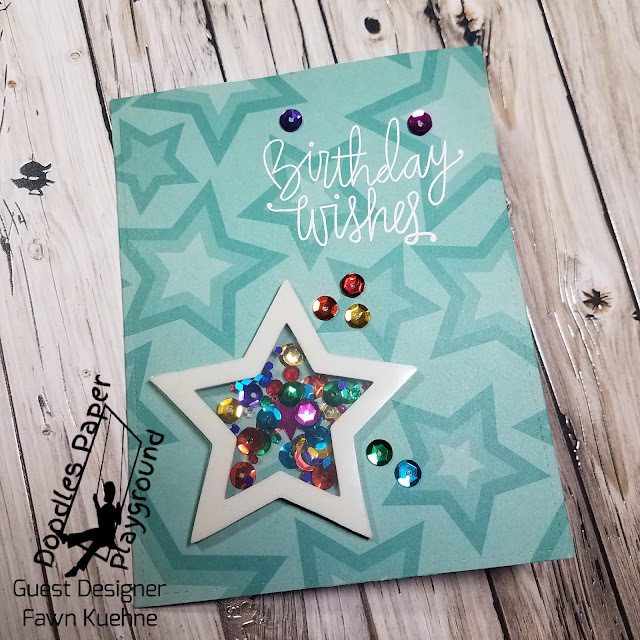 I love that there is a rainbow of colors in this blend but they still go so well together! 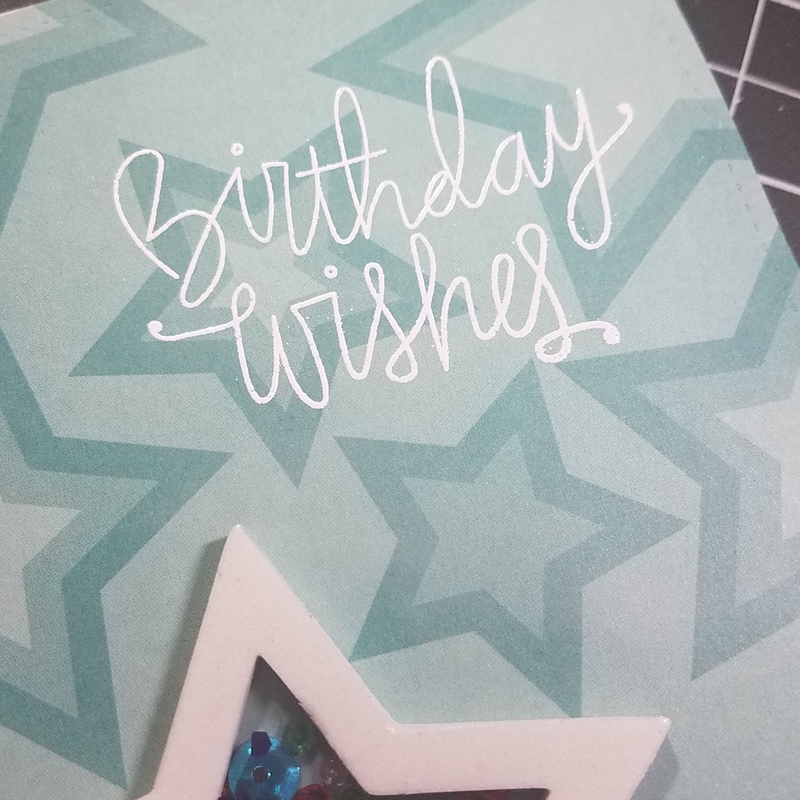 I placed them on my card front using glue dots. 15% off total purchase at www.whiterosecraftsllc.com - There are more great Sparkle Blends and a large assortment of items for all your crafty projects! Great card! 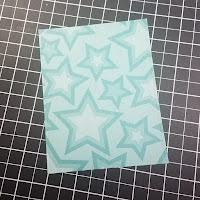 I love the background paper and the Queen & Co shaker kits are fabulous!